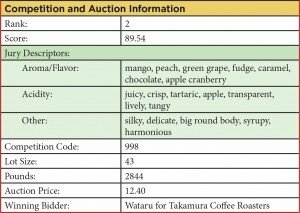 Cup of Excellence is a premier coffee competition and worldwide auction offering the highest award given to a top scoring coffee. The level of scrutiny that Cup of Excellence coffees undergo is unmatched as all of the COE award winners are cupped at least five times (the top ten are cupped again) during the three-week competition. Literally hundreds of cups are smelled, tasted and scored based on their exemplary characteristics. 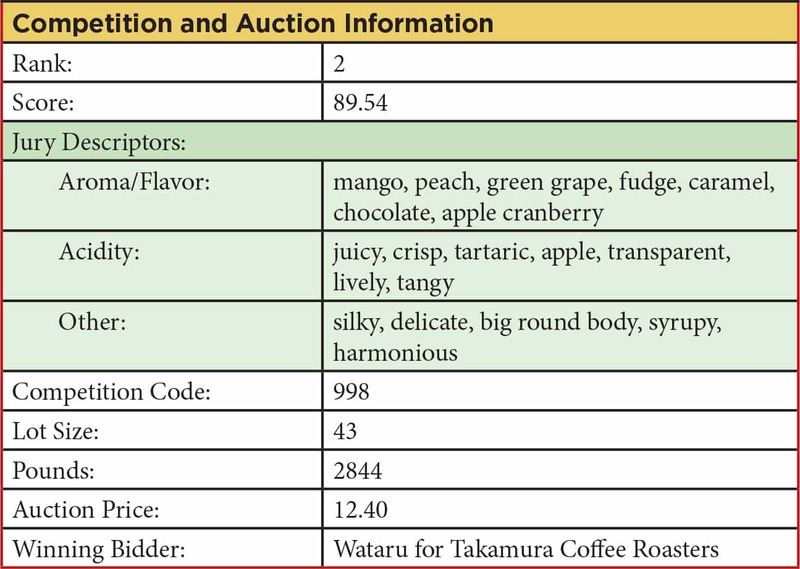 The prices that these winning coffees receive at the auction has broken records time and again and prove that there is a huge demand for these rare, farmer identified coffees. The farmer receives the majority of the auction proceeds based on the price paid at auction but the farmer can expect to receive more than 80% of the final price. The remaining auction proceeds are paid to the in-country organizing committee to help pay for the program. The experience for the grower is life changing. He or she is a star and for that one nervous, exhilarating moment, applauded. Proudly walking up on the stage and accepting the applause, the grower realizes their hard work, attention to detail, maybe their very livelihood, is being recognized as important to their entire country. Some are very shy never having been in any kind of public spotlight. Many are humble country folk – and this is evident as they shake hands with an ambassador, the vice president or even the president of a country, their expression clearly showing the huge elation of winning. Cup of Excellence has created a much more transparent infrastructure for high quality coffee. Roasters can now identify, find and build relationships with growers of superior coffees. It brings together the high quality roaster and the high quality farmer and helps both understand and appreciate the nuances and flavor profiles of rare exemplary coffees. 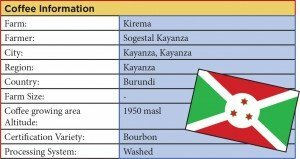 It has changed the pricing structure for farmers and has discovered many of the incredible coffees that have built consumer excitement and loyalty. With that, we are excited to present our new series: Producer Profiles. This winning lot is for women members of Women’s Coffee Alliance Chapter (IWACA Burundi). The mission of IWACA is to empower women in coffee. Its goal since 2013 is to participate in and win the cup of Excellence competition. It encourages women to produce excellent quality coffee and ensure that their coffee gets buyers in niche markets. Furthermore, all members are sensitized to bring well-chosen and handpicked cherries. This coffee has been produced by 300 coffee farmers (women).